According to legend, the first Hotdog Wars contest was held in July of 1916 between four people. The champion was declared to be the most patriotic. 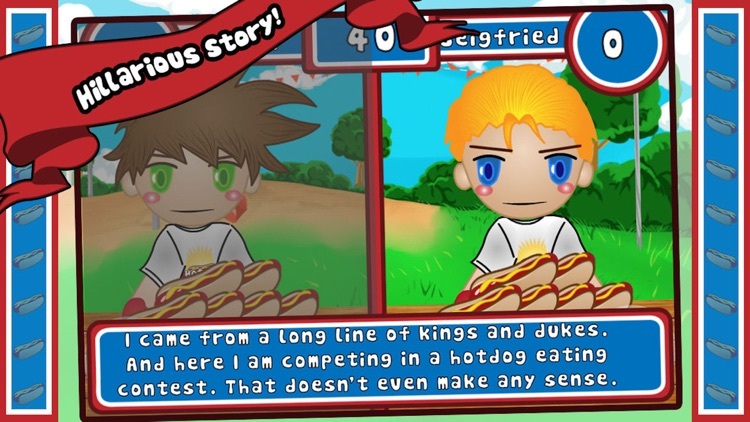 Now more than 90 years later, the tradition continues in the fun game Hotdog Wars! 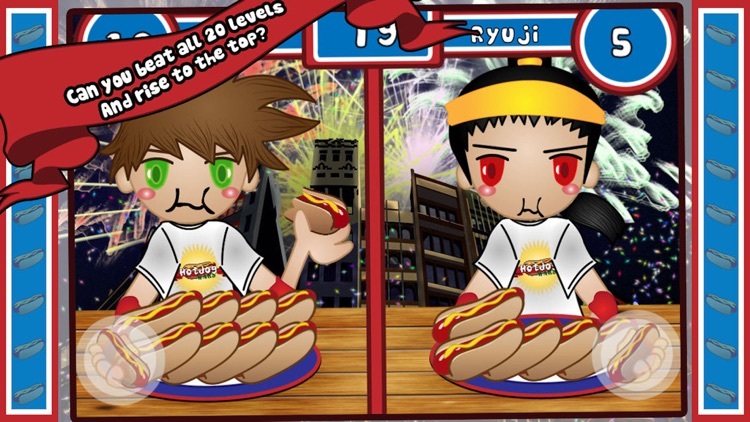 Compete against 20 other hotdog lovers from different countries as one of the four heroes. Ride on the “bus of champions” and continue winning more hotdog eating contests. 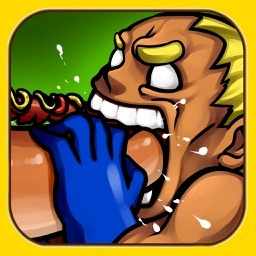 Battle in 20 levels and go after the coveted international "bejeweled" mustard-yellow belt. 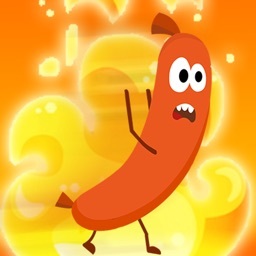 Rise to the top and be the next Hotdog Wars Champion! 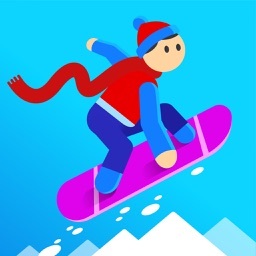 Do you think you have the guts to be the next champion? Then what are you waiting for?! 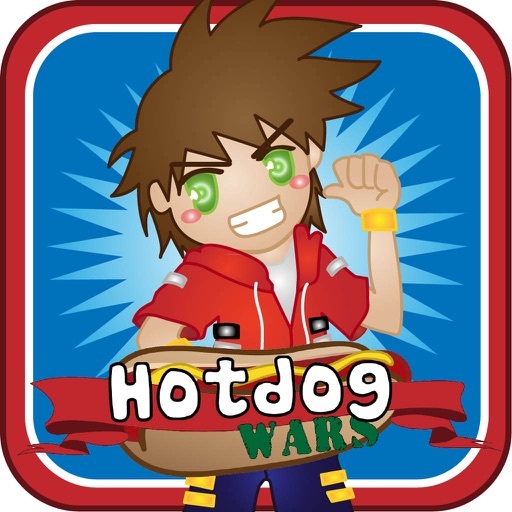 Start eating tons of hotdogs in Hotdog Wars! 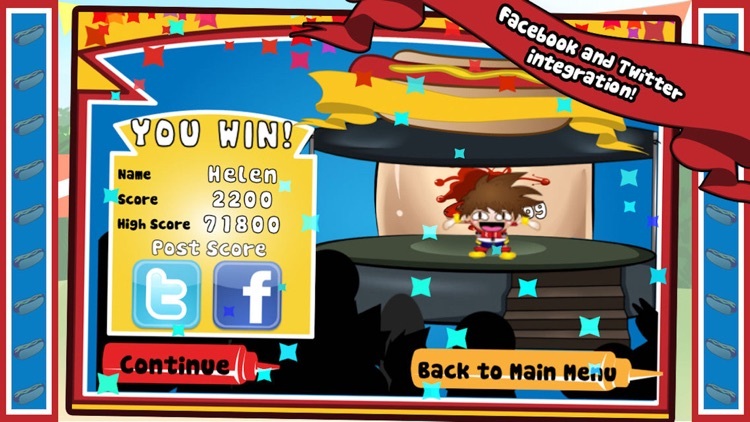 - Challenge your friends to hotdog eating competitions and see who can eat the most hotdogs! Compete in legendary hotdog eating contests and challenge yourself to eat more hotdogs than the rest of the competition. 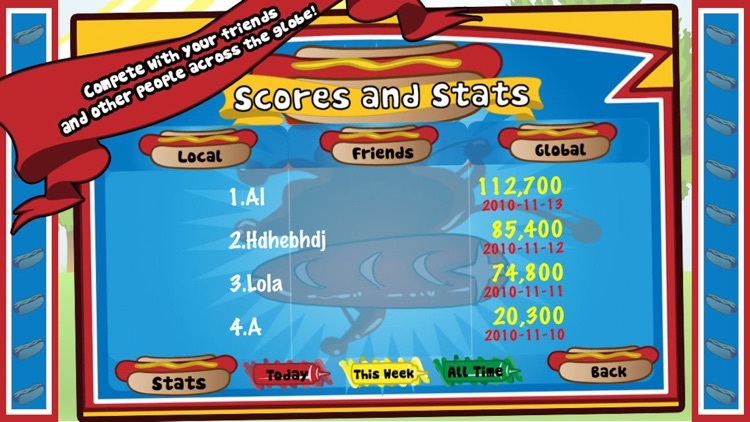 Eat the most hotdogs and win the title of Hotdog Wars Champion! 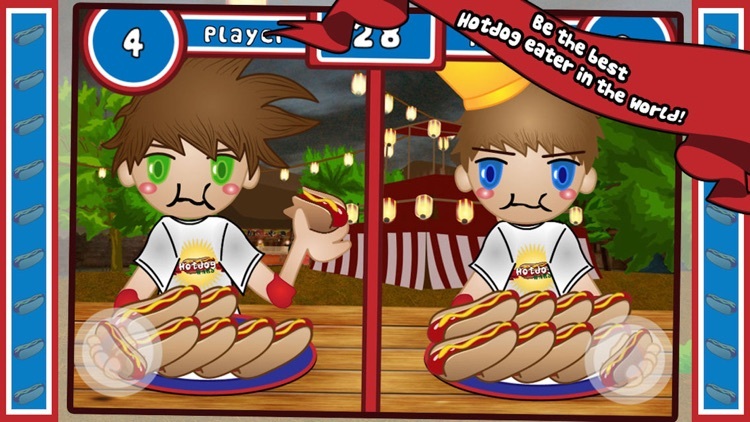 Download now to enter your first hotdog eating contest! 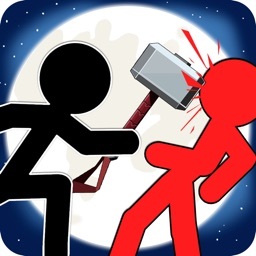 "Omg this game is so awesome. 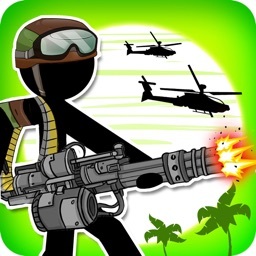 It is so addicting I can’t put it down : )"
Become a fan of Hotdog Wars on Facebook!